Jace Anderson has joined the EERC as a Research Engineer with the Energy Systems Development team. Jace contributes to the design, modeling, and fabrication of experimental equipment. He interprets data and assists in preparing proposals, reports, and papers, as well as presenting project results to clients. Jace says it was his interest in trying to figure out how things work, as well as his knack for problem solving, that led him to pursue the field of engineering. He holds a Bachelor of Science degree in Mechanical Engineering from the University of North Dakota. 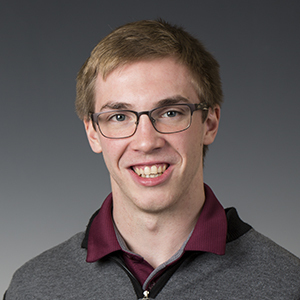 A native of Cloquet, Minnesota, Jace is an avid runner and gym goer who also enjoys reading. Fun facts: In high school, Jace played the euphonium in the concert band and taught himself piano.